"The amp arrived a week prior to its scheduled build-out date and is everything and more than I drea..
From Customer Dave Medina: The amp arrived today, one day ahead of schedule; Yes! Played it for a.. 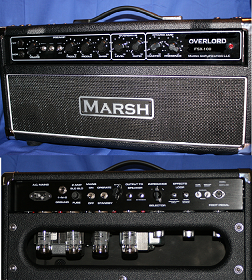 When i first saw another Dumble Clone on the market i wondered, why. Then I compared the prices and ..